The home of Mohamed and Abderrahim welcomes you. 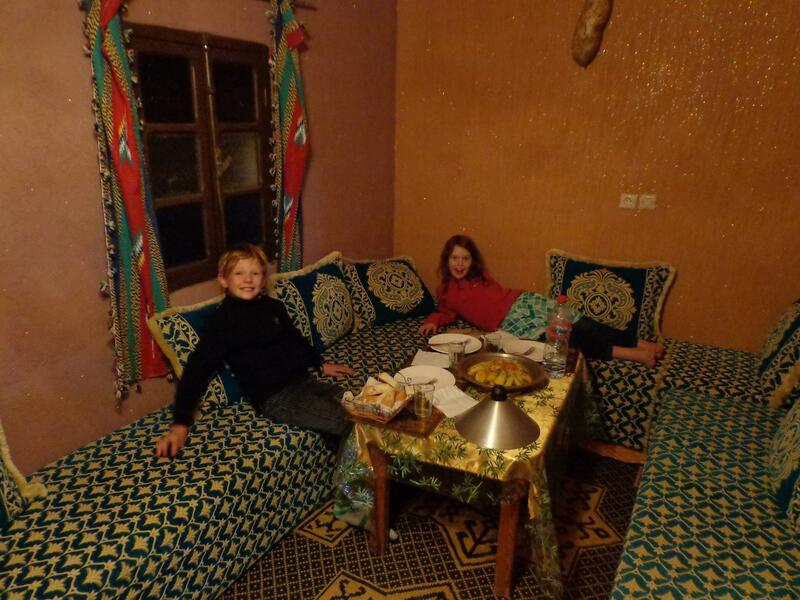 Our homestay lies in a small village Mezzik, about 10 minutes walking from Imlil and overlooking Imlil at a height of 1800m in the high Atlas of Morocco. It has a perfect position in the mountains to discover the surrounding mountain peaks with hikes and trekkings. It can accommodate groups up to 14 people, with three simple traditional bedrooms in the gite. You will share traditional meals prepared by the wife of Abderrahim, from tagines to couscous with Moroccan salads. Inquire by phone 00 212 (0)6 67 23 48 51 or drop a message via the contact form or via email [email protected] / [email protected] to get a quote tailored to your needs and your intended stay. As Abdou is often hiking with guests in the Atlas mountains it can take a few days before he can answer to email requests.